Hans Magnus Enzensberger, widely regarded as Germany’s greatest living poet, was already well known in the 1960s, the tempestuous decade of which Tumult is an autobiographical record. Derived from old papers, notes, jottings, photos, and letters that the poet stumbled upon years later in his attic, the volume is not so much about the man, but rather the many places he visited and people whom he met on his travels through the Soviet Union and Cuba during the 1960s. The book is made up of four longform pieces written from 1963 to 1970, each episode concluding with a poem and postscript written in 2014. 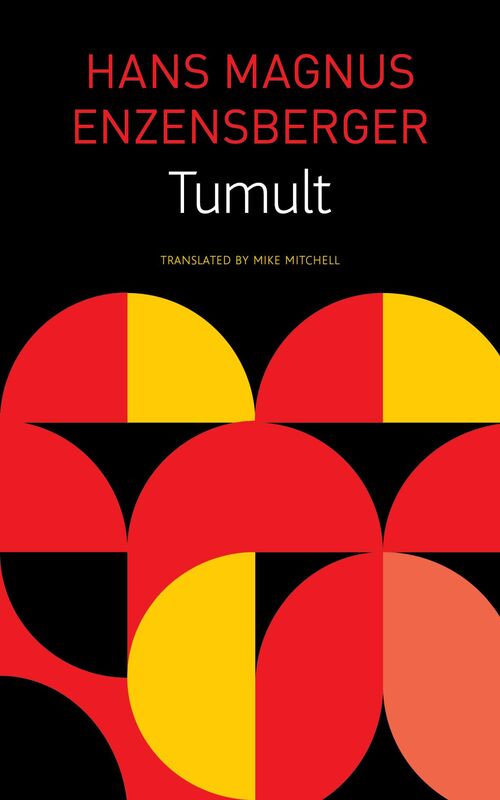 Tumult is based on Enzensberger’s personal experience as a left-wing sympathizer during that tumultuous decade and focuses on political events and their participants. Translated by Mike Mitchell, the book is a lively and deftly written travelogue offering a glimpse into the history of leftist thought. Dedicated to “those who disappeared,” Tumult is a document of that which remains one of humanity’s headiest times.